Did you know that dolphins can sleep while they swim? Posted by Jonathan Bird on Thursday, October 31, 2013. 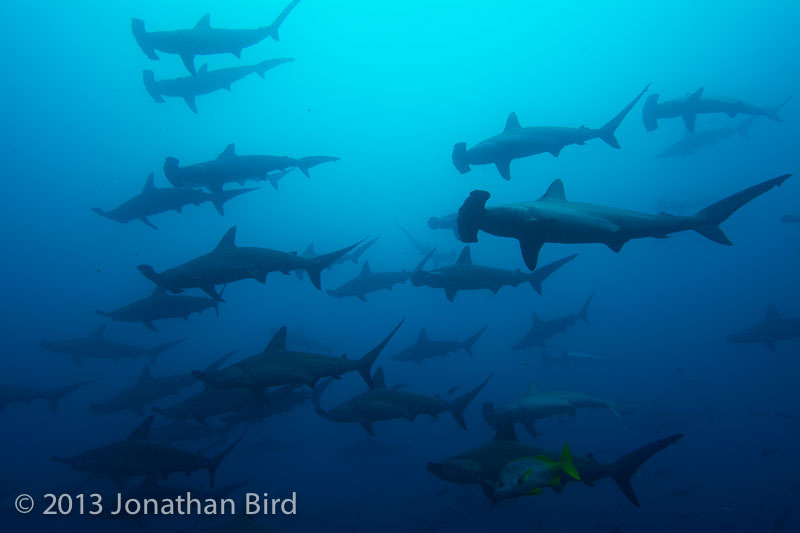 In the years since, I have been lucky enough to visit some of the most exciting diving destinations around the world including the one most similar to Cocos, the Galapagos Islands. Yet for some reason it has taken me 25 years to get Cocos on my schedule. Julia, Cameraman Todd, and I have just returned from a 12 day excursion to Cocos with two simply incredible Blue World segments. 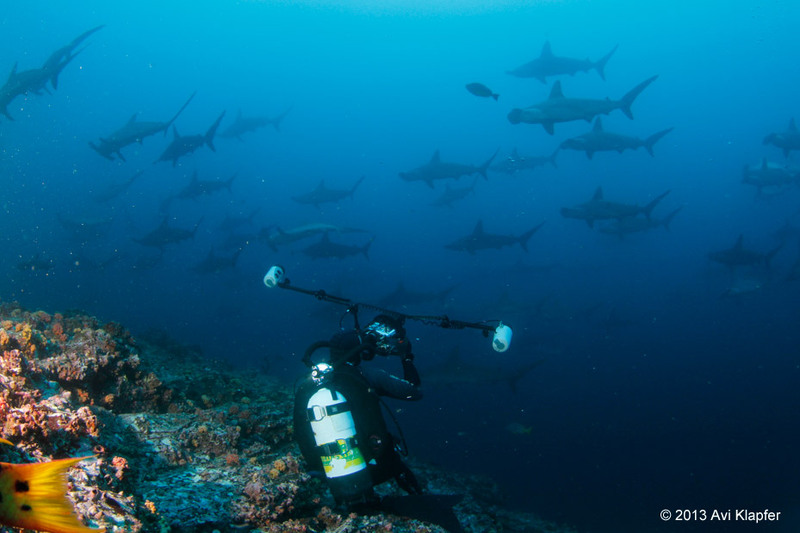 Our trip to Cocos began in pursuit of two Blue World segments, neither of which is about what you would expect—the world-famous Scalloped hammerheads schools of Cocos, since we shot a fantastic segment about these hammerheads for season 1. In addition to being famous for Scalloped hammerheads, Cocos is also famous for its white tip reef shark night feeding action. It is about the most reliable shark dive in the world. And I had chartered a boat called the Argo because it has a deep diving submarine aboard, which would make an incredible segment! 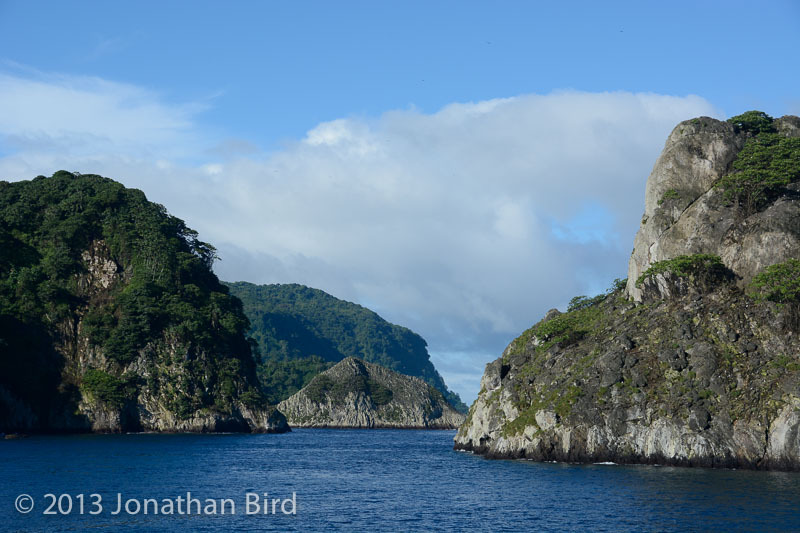 Cocos Island is a remote volcanic oceanic island about 300 miles off the Pacific coast of Costa Rica. 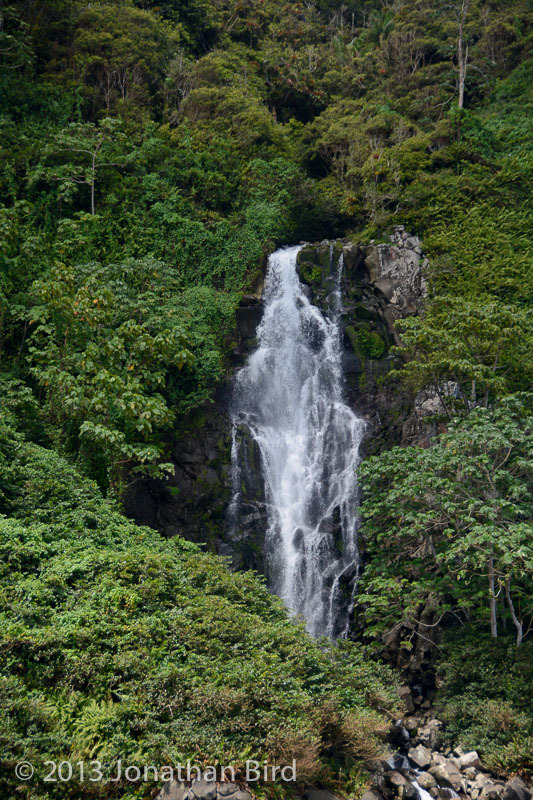 Unlike the desert rock islands in the Galapagos, Soccorro or Malpelo, Cocos is a green, lush tropical rainforest with daily rains providing ample fresh water and dozens of waterfalls and streams. 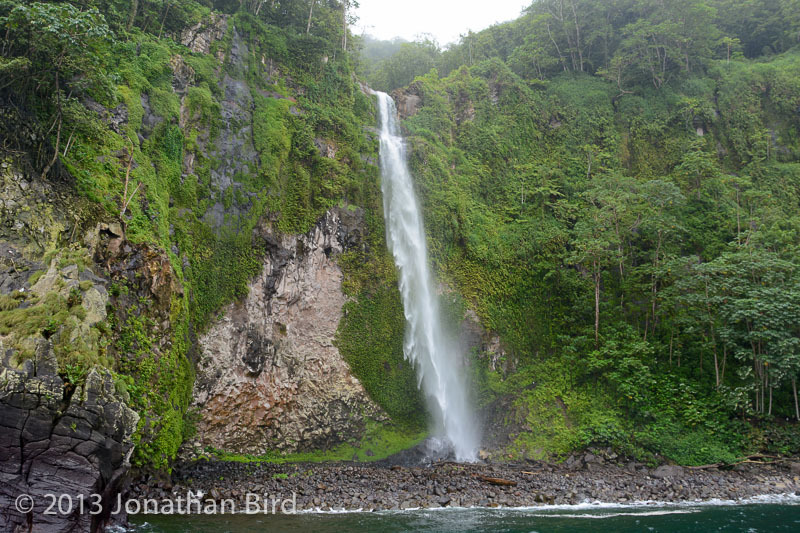 To get there, you board a live-aboard dive boat in Puntarenas, Costa Rica, which is about a 2 hour ride from the capital of San Jose. Then the ocean crossing to Cocos takes about 30 hours. 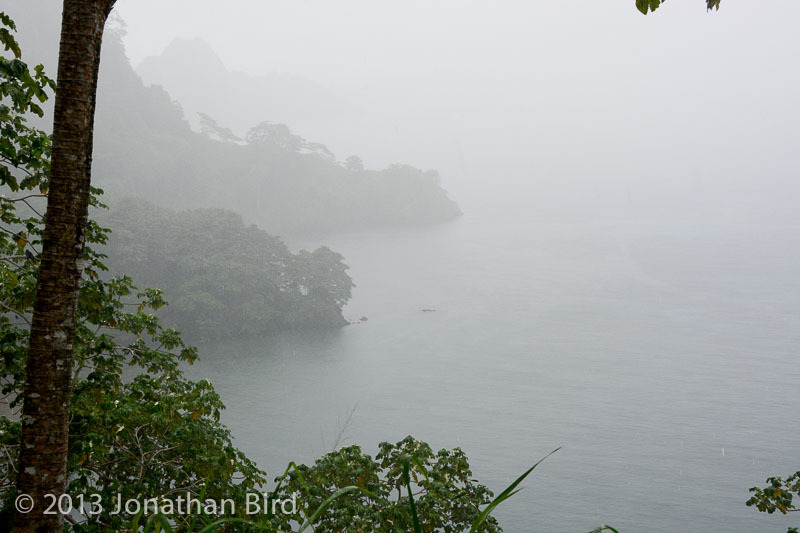 It’s the open Pacific Ocean, so conditions can range from moderate to harsh. It’s rarely flat calm, however we experienced fairly mild ocean conditions in both directions. 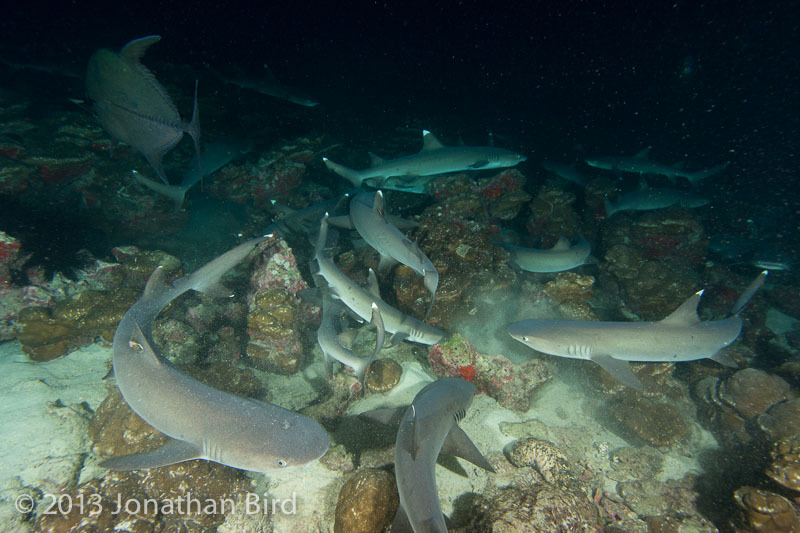 The night dive with the Whitetip Reef sharks is pretty amazing, and I don’t know anyplace else where you can see this. 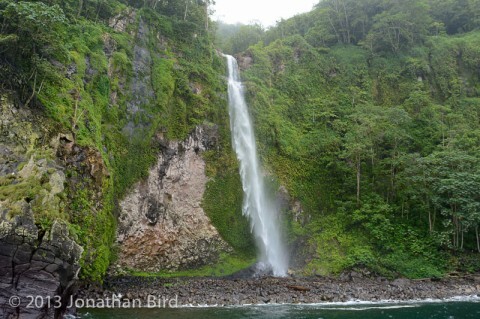 It is one of Cocos Island’s signature encounters. Divers go into the water after sunset and the sharks use the divers’ lights to hunt. When they find a fish cornered in the reef, the sharks get into a “frenzy” (for lack of a better word) competing with each other to grab the fish. So dozens of sharks are swarming from coral head to coral head trying to grab fish. The fish aren’t stupid. They hold perfectly still so as not to attract attention. The sharks will swim right by a fish that is laying out in plain view and never see it. But if that fish moves, it’s all over. The sharks swarm, and the fish is eaten. It’s one of the most exciting night dives in the world! We filmed it several nights in a row to be sure we had enough shots, and the real problem is going to be going through all that footage to find the best shots! Where else can you go to 1000 feet and come back alive? The whole experience is surreal with that giant clear dome providing a view in nearly every direction without anything in the way. The sub is quiet, comfortable, and safe. For a few hours you go into “inner space” where few people have ever been, snapping pictures of bizarre animals you will never see as a diver in shallow water. The experience itself is probably even more exciting than the animals you see just because it is so unlike anything most of us normal people will ever get to do. 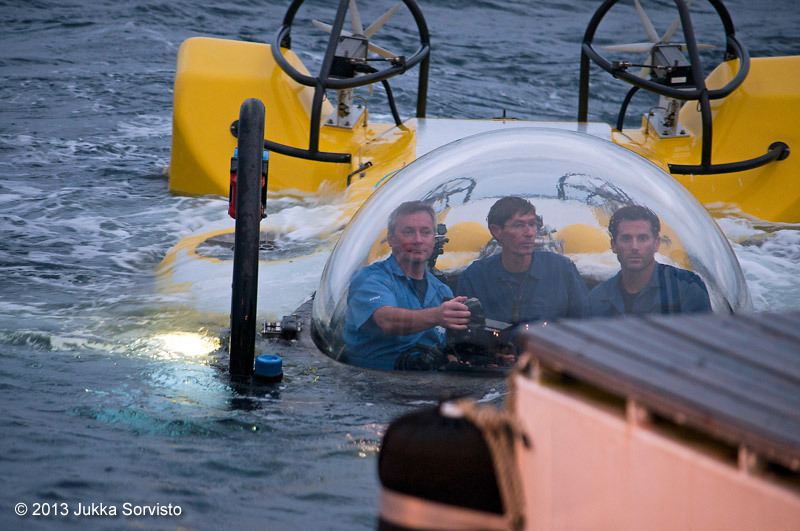 From the moment the ballast tanks are emptied and the sub’s dome starts being washed with waves, it’s nothing like anything you have ever experienced. At 300 feet with the light from above casting a pale blue light in the cabin and the sub’s exterior lighting up the reef, you will be transported to another world that you will never forget. An utterly fantastic voyage! Also on our trip was a biologist that has a special permit to take small samples with the robotic arm. 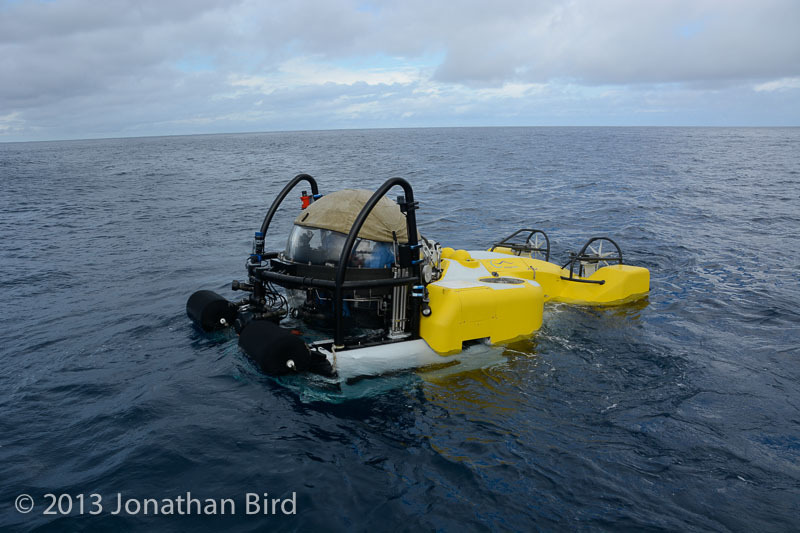 She has discovered a dozen new species from Cocos alone with the sub and during our trip was working with collecting new species of octocoral from waters in excess of 500 feet. I personally find it fascinating that there are so many undiscovered species in the deep ocean. It’s quite rare to discover a new species in the shallow ocean these days, but in the deep sea, it happens on many dives. From the standpoint of making a segment for my show about the sub and the research being conducted from it, we hit it out of the park. This will be a fantastic segment! We had a ball and got some exceptional segments. I can hardly wait to start editing the video! But the biggest news here is that this was the final shoot of season 4! In early 2014, we will deliver the new season to public television!